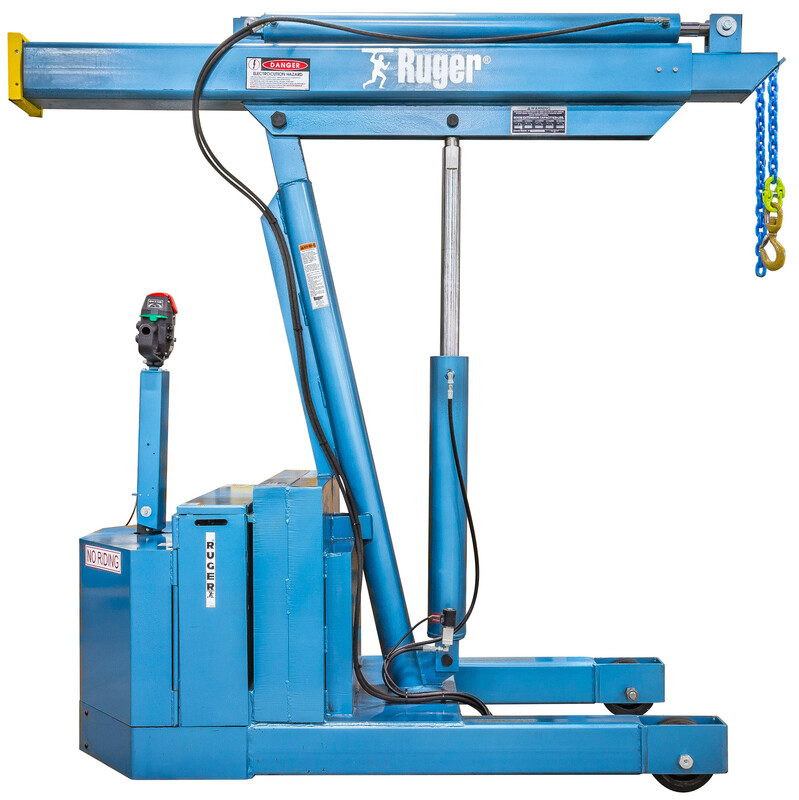 Ruger Adjustable Leg Full Power Cranes can easily straddle wide loads for easier, faster and safer material handling. 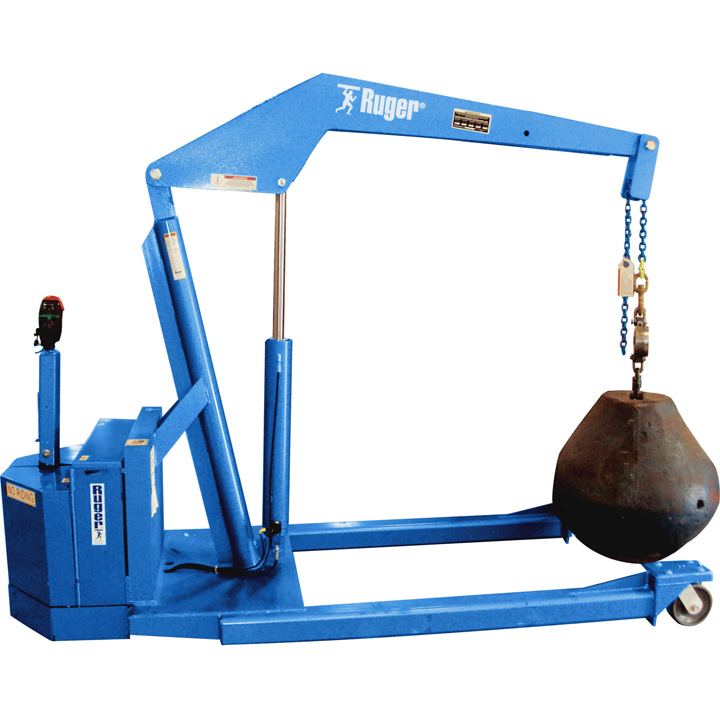 Their adjustable extension boom allows for greater reach and versatility. 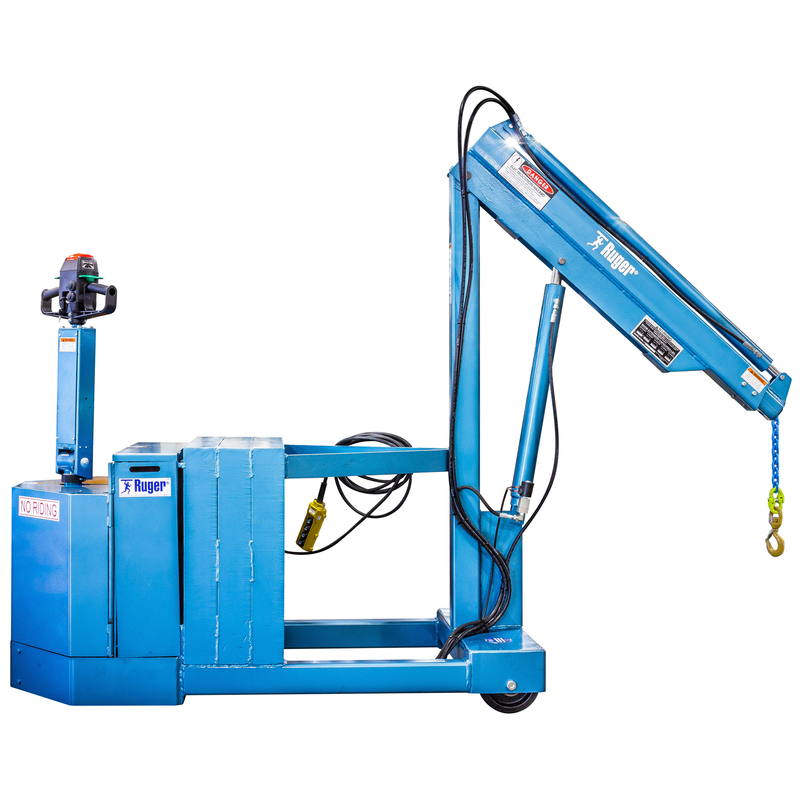 The variable speed control provides user options not available in other cranes. 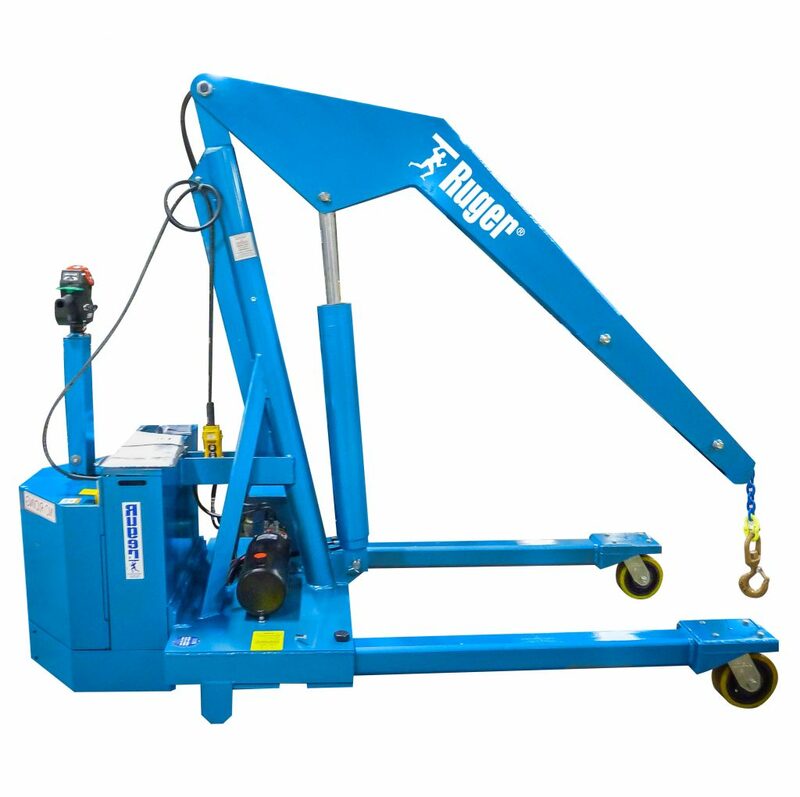 Well know for their safe, efficient and dependable operation, Ruger Full Power Floor Cranes are the best in the industry. 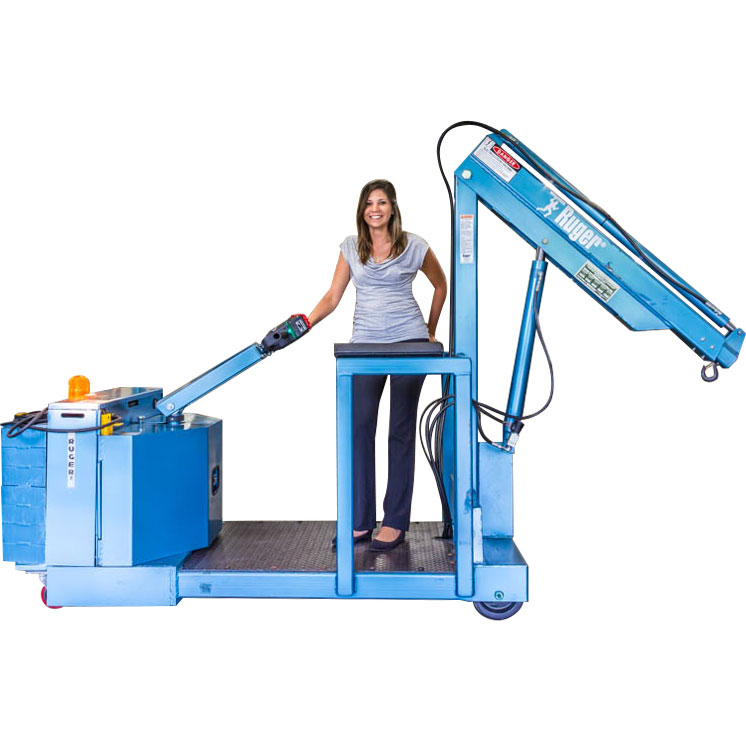 The Full Power Adjustable Leg Crane has proven time and again to be a dependable solution for many difficult material handling challenges.